- HP Bright White Inkjet Bond Paper gives you the ColorPRO difference. This FSC® certified1 paper with ColorPRO Technology produces striking colours, crisper text and higher-contrast blacks for professional quality results at production speed. - See the bright, clear difference. See precise lines with sharp, fine detail. See high-impact graphics with an extended range of colors. HP Bright White Inkjet Paper with ColorPRO Technology delivers professional quality and striking results. - Keep a brisk pace. HP printing materials are designed together with HP inks and the printer to provide consistent, quality performance. Meet the environmental objectives of your company and your clients with this recyclable, FSC® certified1 paper. 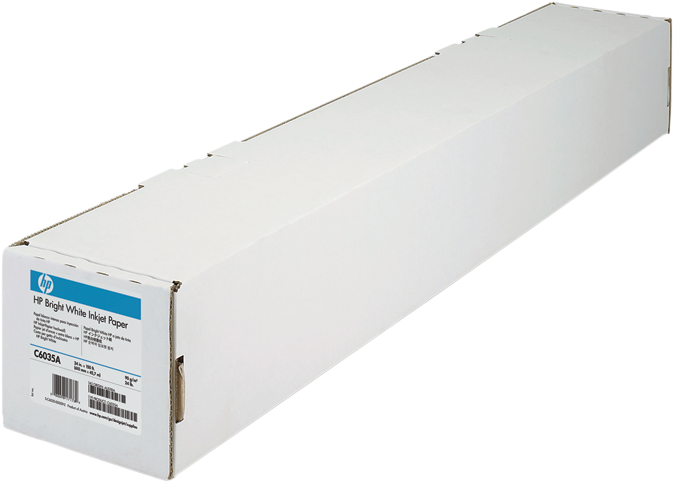 - Optimise your everyday printing with the reliable, trouble-free performance of cost-effective HP Bright White Inkjet Paper. Availability in many sizes cut steps from the workflow for higher productivity and lower costs of printing.